Sec. 2. Number of Senators. Sec. 3. Senate districts; apportionment of Senators. Sec. 4. Number of Representatives. Sec. 5. Representative districts; apportionment of Representatives. Sec. 6. Qualifications for Senator. Sec. 9. Term of office. Sec. 12. Oath of members. Sec. 13. President of the Senate. Sec. 14. Other officers of the Senate. (1) President Pro Tempore - succession to presidency. The Senate shall elect from its membership a President Pro Tempore, who shall become President of the Senate upon the failure of the Lieutenant Governor-elect to qualify, or upon succession by the Lieutenant Governor to the office of Governor, or upon the death, resignation, or removal from office of the President of the Senate, and who shall serve until the expiration of his term of office as Senator. (2) President Pro Tempore - temporary succession. During the physical or mental incapacity of the President of the Senate to perform the duties of his office, or during the absence of the President of the Senate, the President Pro Tempore shall preside over the Senate. Sec. 15. Officers of the House of Representatives. Sec. 16. Compensation and allowances. Sec. 20. Powers of the General Assembly. Sec. 21. Style of the acts.  The style of the acts shall be: "The General Assembly of North Carolina enacts:". Sec. 22. Action on bills. shall be read three times in each house before it becomes law and shall be signed by the presiding officers of both houses. Sec. 24. Limitations on local, private, and special legislation.